The Philadelphia Baseball Review released its Division-III College Player of the Week awards on Tuesday for the period ending March 24. 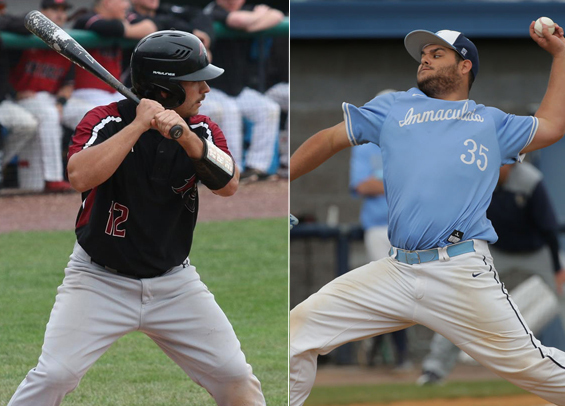 Arcadia senior outfielder Bryan Gillen was named the Philadelphia Baseball Review's D-III Hitter of the Week, while Immaculata senior left-hander Billy Manzo has been named the Philadelphia Baseball Review's D-III Pitcher of the Week. Gillen went 9-for-16 (.563) for the Knights and scored five runs. He also collected a pair of doubles, a triple, and drove in seven runs. He's hitting .426 on the season with 13 RBIs. Manzo tossed a seven-inning shutout for the Macs in a 7-0 win at Marywood. He surrendered two hits, issues two walks, and struck out six. He's 3-0 on the season with a 3.74 ERA.